Where does the time go?! I feel like I just blogged, but it’s been over three weeks since I participated in Blog Hop Number One for the B’Sue Boutiques Build A Line challenge! Although I’ve been quiet on the writing front, I’ve been busy on designing front – participating in discussions, asking questions, reading blogs and watching videos. All in all, I’ve been thinking out my line, choosing elements and components, and then choosing again in the parameters of the challenge. The process isn’t new to me – I do much of my designing in my head before I ever start to build a piece, but the scope of it is. Creating a line means thinking how the pieces will go together, and how they will stand out within the line while complementing each other. Each individual design impacts the whole of the line. It’s a new approach for me, and so far, I’m enjoying it and learning a ton. Be sure to check back on Friday, for Blog Hop Number Two of the B’Sue Boutiques Build A Line challenge! In the meantime – check out my Etsy shop, Ameme Designs. It’s here! Blog Hop Number 1, the Grand Entrance, the First Reveal… It’s finally here and I hope you are as excited as I am! 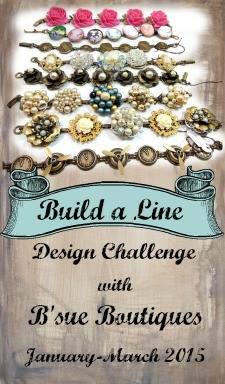 This is the first of three blog hops for the B’Sue Boutiques Build A Line challenge, hosted and taught (for free!) by the fabulous, knowledgeable and very generous Brenda Sue of B’Sue Boutiques. 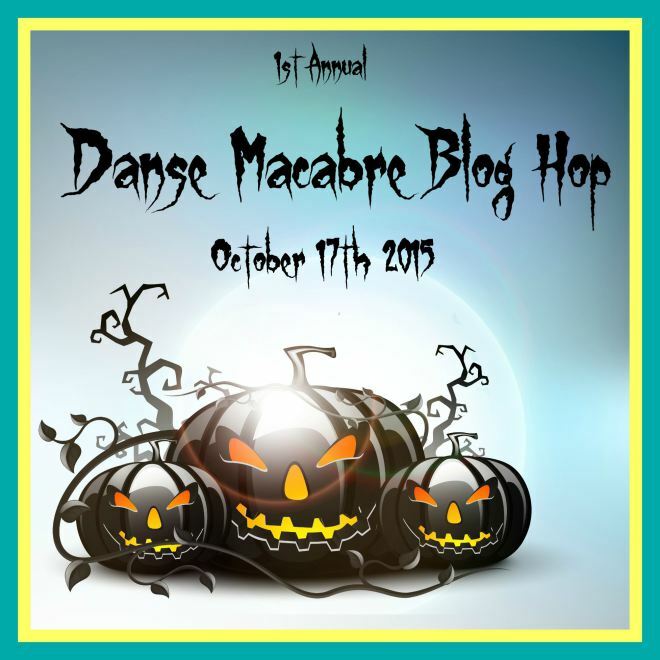 So what exactly is a Blog Hop? A blog hop is a virtual social event, often based on a challenge or theme. Blog authors share links to other blogs – and then “hop” from blog to blog, reading, liking and commenting on all of the offerings while encouraging their readers to do the same. And then between 2009 and 2013, I stopped making jewelry. During my unintentional break I met my husband, we got married and bought a house. But when things got back to “normal” I was ready to start creating again. In 2013 I joined the BSue Creative Group on Facebook and that’s when really began to find my style. Being a part of the B’Sue community was encouraging. I felt challenged to make new items with real design ideas. All of this has led to now – January 23, 2015. I like to think I’ve brought my favorite techniques with me while learning new ones and finding ways to put the Ameme Designs stamp on each piece I make. For the next three months, with Brenda Sue’s help and instruction, myself and over fifty other designers and artists will challenge ourselves to move forward. We’ll do this by stepping back, slowing down and really thinking about what our style is, and how to incorporate that style into a cohesive five-piece line of jewelry that can be reproduced and falls within impulse price-points. In other words, she is going to teach us how to make a line of jewelry that sells! Here is a sneak peak of what will go into my upcoming line. I can only tell you that it will be contain five necklaces and use the supplies you see here and few others I will reveal next month when I have some items to show for my hard work. Lastly, if you enjoyed my post here, please take some time to “hop” around this list of blogs below, and give them a like or a comment. Better yet, start following them and watch them progress over the next three months. I will be doing the same, I can’t wait to see what they’ve been up to!